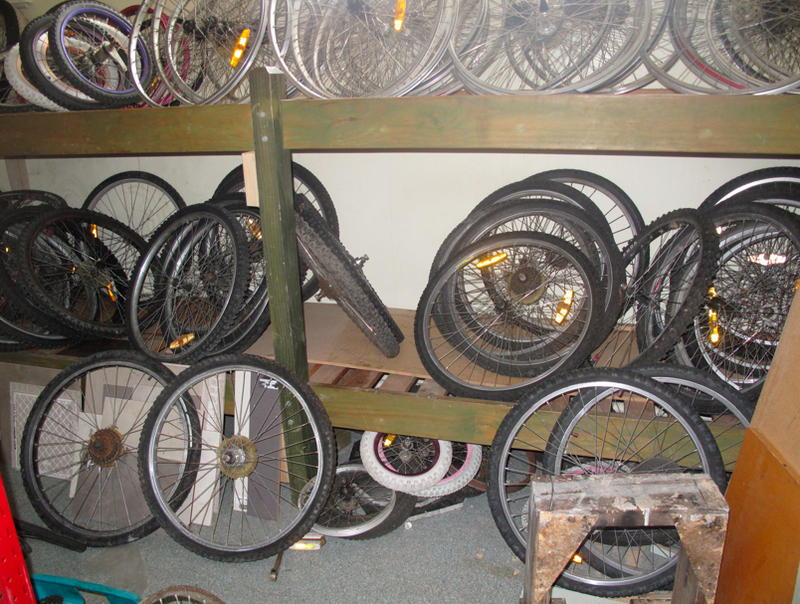 Green Bikes Whanganui has been a quiet, consistent contributor to the sustainability movement in our city for nearly six years. 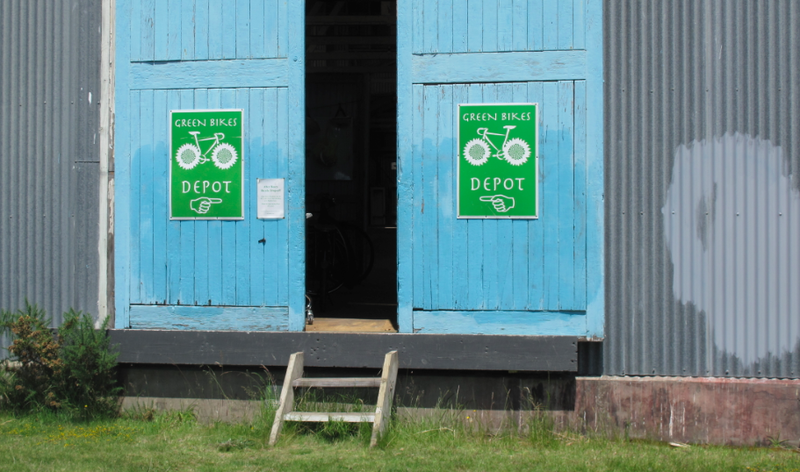 From beginnings in Taupo Quay, then shifting to Heads Road, and now at the Resource Recovery Centre in Maria Place, Green Bikes has provided hundreds of low-cost bicycles to our community, as well as cycle repairs, and education. The vast majority of this effort has been done by Jonah Marinovich, in a humble manner, although with a rich, rye sense of humour. Although Jonah has handed Green Bikes over to the capable hands of Alan and Peter – both too shy to pose for a photo or even have their last names published – I think it is quite appropriate for us as a city to recognize the dedication that Jonah has shown over the last half decade. 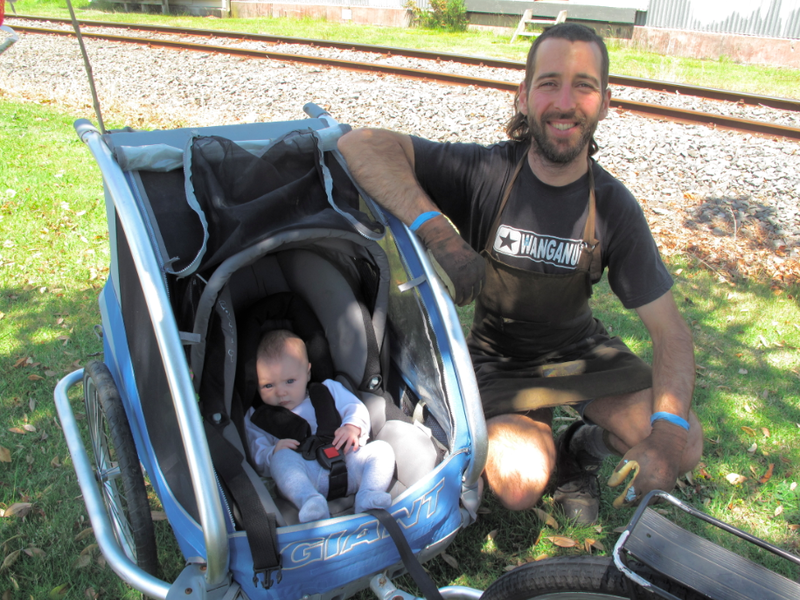 The ECO School is proud to present the inaugural Unsung Hero Award to Green Bikes as Jonah has requested. 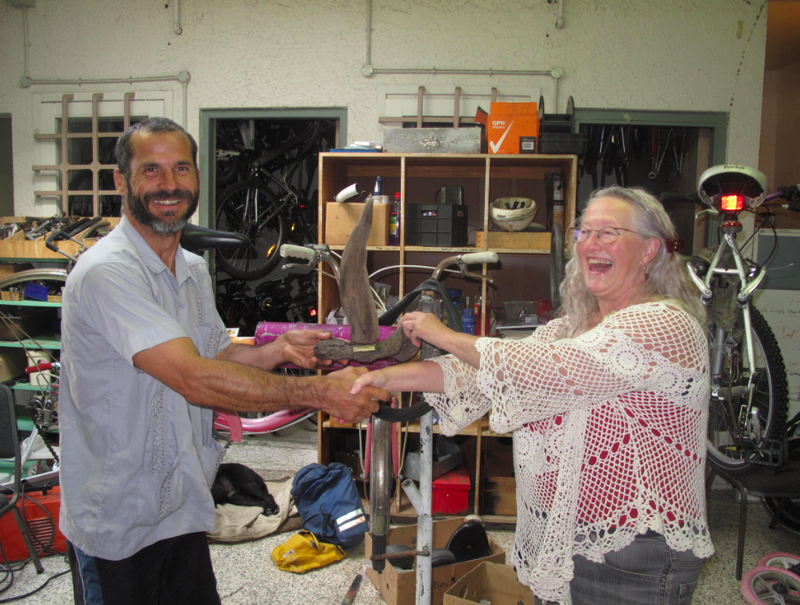 Photo: Robin Williamson of the Sustainable Whanganui Trust is shown accepting the award from Nelson Lebo while Alan and Peter are behind the scenes cracking us up.